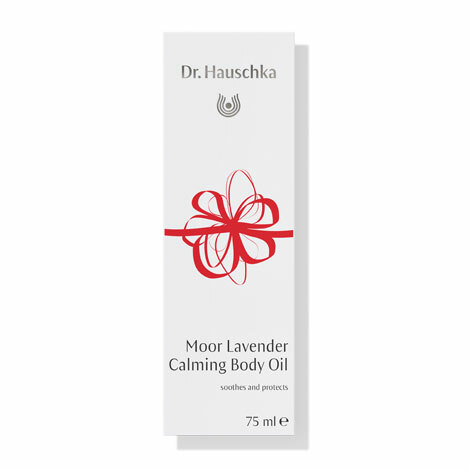 Applied after bathing or showering, Moor Lavender Calming Body Oil pampers the skin, keeping it silky soft and smooth. Shake the bottle until uniform in consistency then apply evenly and massage into the skin. Applying to moist skin after bathing or showering provides the most effective absorption. Olea Europaea (Olive) Fruit Oil, Water (Aqua), Butyrospermum Parkii (Shea) Butter, Lavandula Angustifolia (Lavender) Oil, Peat Moss Extract, Sucrose Polystearate, Linalool*, Hydrogenated Jojoba Oil, Fragrance (Parfum)*, Citronellol*, Limonene*, Geraniol*, Coumarin*, Citral*, Farnesol*, Eugenol*, Equisetum Arvense Extract, Aesculus Hippocastanum (Horse Chestnut) Seed Extract, Alcohol. We also recommend Lavender Sandalwood Calming Body Wash, Moor Lavender Calming Bath Essence and Lavender Sandalwood Calming Body Cream.